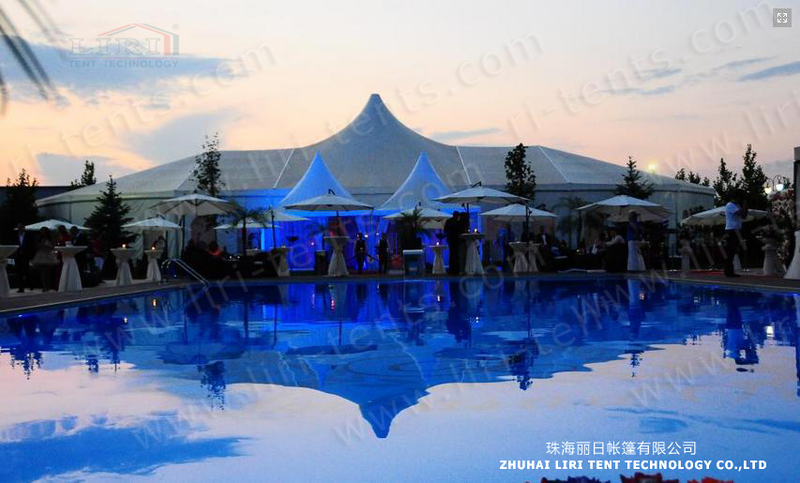 The High Peak Tent always ia an eye-catching structure of its bell-shaped roof line. Clear span width of this series has a wide range from 6m-40m. 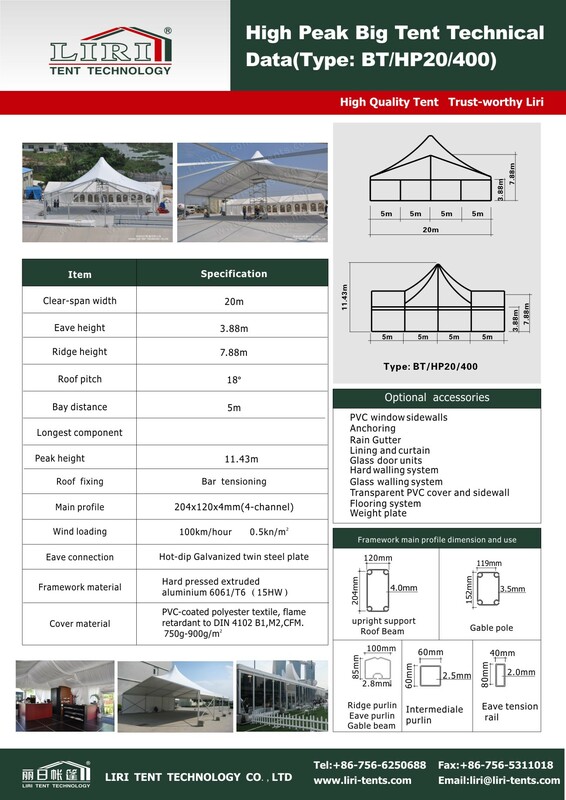 High Peak unit is able to join with the regular A-shape unit, and multi-sides unit to form a mixed tent.